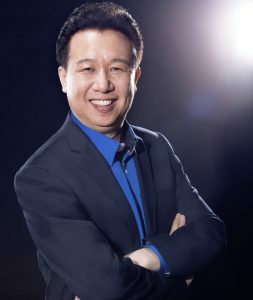 Author of 16 books in the education series of Mind-Wisdom, such as “Thought Changes Disease”, “Mind-Wisdom Energy”, “Changing Everything with Thoughts”, and “Right Brain Winning”, etc. Founder of Beijing Mind-wisdom Home Culture Development co., LTD., and the Guangdong Mind-wisdom Home Charity Foundation. In the past decades teacher Bao has focused his study on the relationship between emotion and corresponding diseases, and has published more than 10 research articles in the national journals, such as 《The Road to Health》, 《Journal of Chinese Healthcare & Nutrition》. Two of the articles won the first prize. He also published one English article in the International Journal of Clinical Psychiatry and Mental Health in 2017; please read this publication by Teacher Bao on Examination of the Relationship between Emotional Disturbance and Tumors: Introduction to Emotional Soothing Therapy through Two-Case Studies of Uterine Fibroids. Based on the theory of traditional Chinese medicine, combined with the discussion of western medicine and psychology on the relationship between emotion and disease, the corresponding relationship between emotion and disease is studied. Energy is the most basic element in nature. Human life depends on energy. Everything we own or experience, including wealth, marriage, health, career, and interpersonal relationships, are all the results of material and energy interaction and exchange. A person’s life is made of cells, the cells store the past experience in the formation of the unique emotional memory, so that everyone can form one’s own individual unique life situation. The human body exists in a holographic form, and each relatively independent part of the body has a corresponding relationship with the overall internal organs and organs of the human body. The performance of everything is the result of interaction between internal cause and environment. Everyone is a member of the family system, at the same time, each person’s actions interact with other members of the family system, as causal relations in a state of “balance”. The existence of everything has its balance law and significance, so does the disease. People’s ideological changes will generate emotions; strong emotions can form cell memory that guide blood flow with corresponding response in direction and location, which may form regular change or energy blockage in the body corresponding to related organs and siltation, resulting in decreased immunity, the body will result with disease or worse illness. As long as we can find the corresponding cell memory or mood point that affect health, apply the scientific method to effectively release the tension, clear and dissolve the “seeds,” dredge energy siltation of disease, we can achieve ascension of self-healing ability so as to ease and reduce the effect of the disease. The disease is reflection of the degree of energy deficiency or blockage, and the change of energy affects the progress of disease. During the process of life progress and extension, people will have a deep cellular memory of the emotion formed by experience, which may form primary diseases in the form of genetic inheritance. Disease is a way of expressing internal needs, a “need” formed in the process of socialization, and a result of the harmony and balance in nature. The human mind energy comes from the ideological realm, emotional treatment, family relations and genetic four aspects of the role and impact. 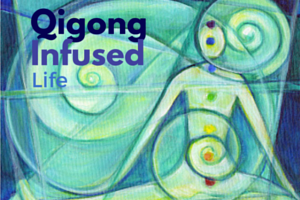 The mood or emotion is not only the greatest consumption of mind-wisdom energy, but also produce confusion, physical illness, interpersonal disputes, family conflicts and social problems. Each family is a unique system. Disorder of family position-order or member’s “fault” will affect and influence the system, causing some members in the system to balance the system relationship in the form of “disease”. Disease is a part of life process; it is a kind of balance relationship among nature, society, family, and individuals. Experience of disease is an opportunity to better grasp or understand meaning of life, and is a reminder that we should change some mistakes or bigotry ideas. Through the scientific and effective “wake-up method”, “confronting method”, “Breathing skill”, and “resonance method”, we can detect the cell memory with unhealthy emotional memories, trace back to the origin, and release, dissolve or remove the emotion-mood “seeds” from patient’s emotional distress. Relieve the energy-blocking point of the disease so as to achieve the goal of pain-removal by dredging, non-invasive change and disease alleviation. In the process of reviewing life progress, we will help patients to change mind-wisdom, re-examine the relationship between life and disease and the relationship between human and nature, treat diseases correctly, understand respecting nature and life, loving others, and increase mind wisdom so as to increase immunity, stimulate the self-healing capability, and gain a healthy and rich life. Teacher Bao Worked with some celebrities around the world. Up 2 photos, The USE’s seven-time Golf champion，Ismail Sharif suffered a left-arm injury and could not play Golf any more. 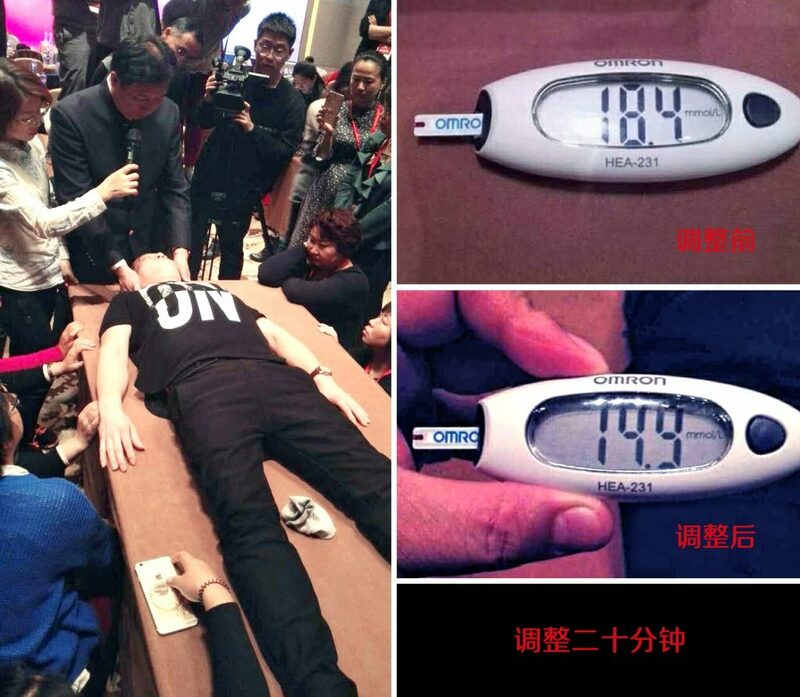 After Bao’s one treatment, he returned to the pitch happily…. — Explore the inner relationship between emotions and illness, and life. >> May 2, 2019 Thursday evening, 7:00—9:30pm, Free seminar in Baltimore, MD — Conference Room at UMROI (Old Kernan Hospital), 2200 Kernan Dr. Baltimore, MD 21207 (Free Parking). 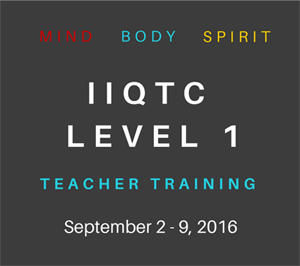 All participants will receive a free copy of the first edition of Teacher Bao’s new English book — Emotional Release Therapy. More copies of the book are available for purchase on site. 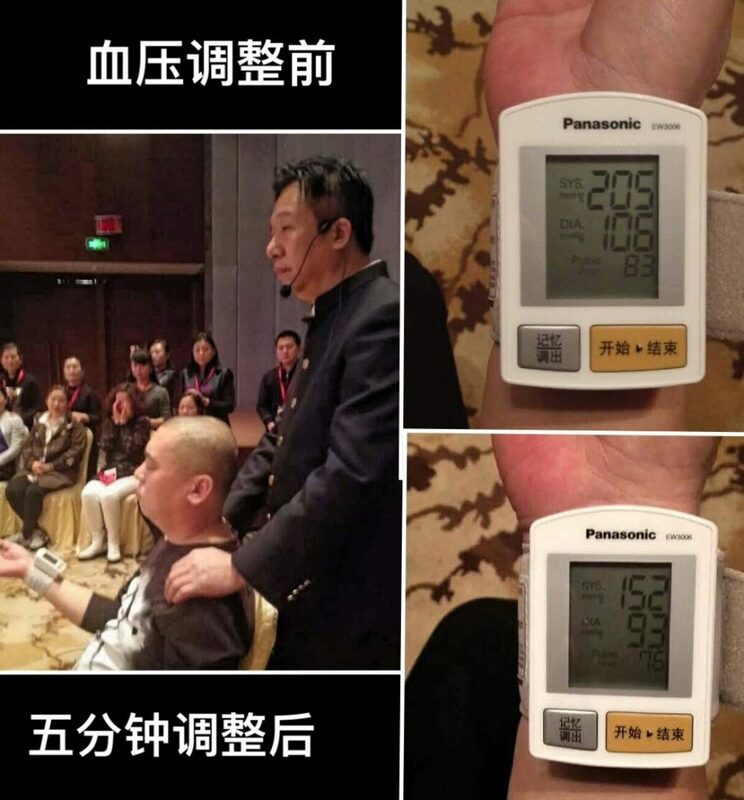 After 5-minute ERT, a patient’s blood pressure went from 205/106 down to 152/93. Understand that disease is a balance between man and nature. Learn to regulate and adjust some diseases caused by emotional disorders, such as cervical vertebra disease, hypertension, diabetes, headaches, insomnia, palace cold, cardiovascular, stomach, liver, lung, kidney area. Understand the human body parts: head, cervical, heart, pericardium, liver, lung, stomach, bravery, spleen, kidney, neck, ears, nose, eyes, knee, lumbar spine, bowel, breast, pancreatic, gynecology, cancer, diabetes, knee joint, the pancreas, teeth, the lower abdomen, back, thigh, calf, ribs, shoulders, legs, the sanjiao (triple energizer), elbow, wrist, five fingers, five toes and the corresponding relationship with emotions. Learn and understand some pathological feeling and disease symptoms: pain, pain, hemp, bilge, wind, wet, cold, itch, virtual, trapped, wake up, cold sweat, hallucinations, afraid of the wind, edema, swollen bursa, cough, nausea, vomiting, runny nose, sneezing, bad breath, snoring, burping, cramps, shortness of breath, fracture, anemia, calcium deficiency, discomfort, diarrhea, polyp, hyperplasia, tinnitus, asthma, bending, cold fever, irregular heartbeat and corresponding relationship with the mood. Students practice ERT during training class in China. 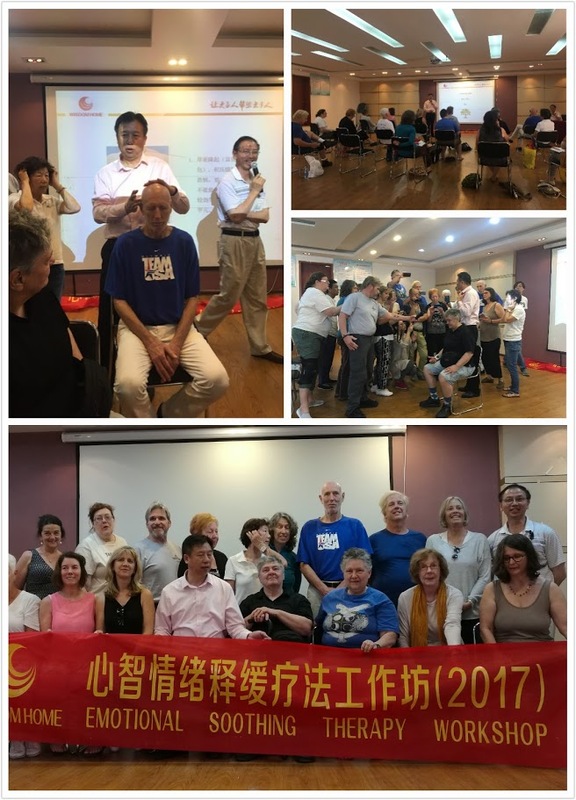 For more information about Teacher Bao’s short visit to the U.S. (East Coast) in May 2019, please email to Dr. Kevin Chen, Qigong4us at hotmail dot com. 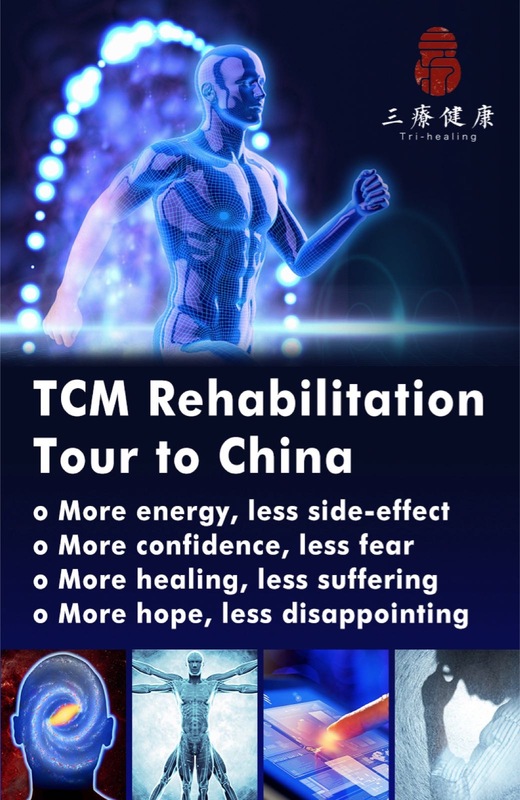 Workshop of Emotional Soothing Therapy by Teacher Bao in 2017 TCM Wellness Tour to China. This entry was posted in East-West Perspectives, Emotional Health. Bookmark the permalink. I am very interested in your subject matter and would love to attend the workshop this weekend in Baltimore. Do you offer any Senior discount? 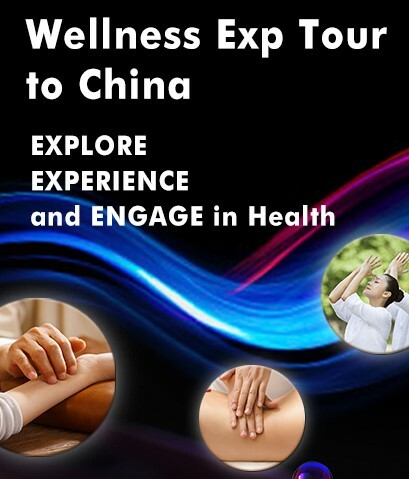 Now that WISH US and Canada are closed, where do you recommend in the eastern USA/Canada for studying to be a medical qigong practitioner and teacher?